ÇAMLICA DOWN OLYMPOS - 4” ENDURO MOUNTAIN BIKE BATTLE IS GOING INTERNATIONAL THIS YEAR BETWEEN 12TH AND 14TH OF MAY IN KEMER / ANTALYA ! ​Down Olympos , ‘Çamlica Let’s Ramble For a Soda’ Enduro Mountain Bike battle series has been taken-off from the peak of Antalya’s Tahtalı mountain (Mt. Olympos) at 2.365 metres for the previous three years. The fourth year the battle will be held at same location between 12-14 May. 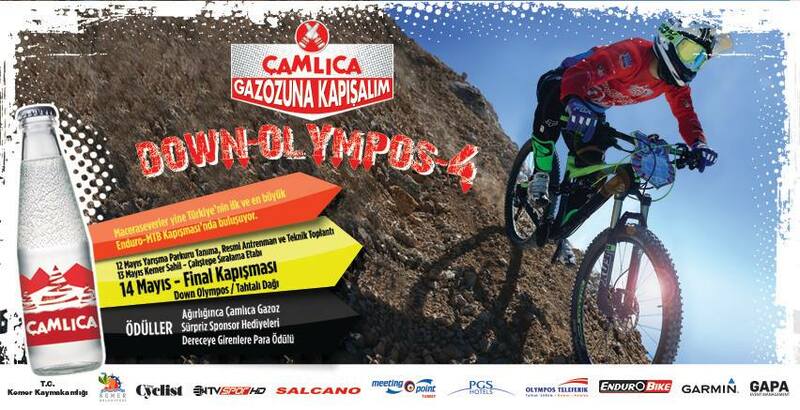 Turkey’s biggest MTB Enduro challenge, Down Olympos is being organized by “Çamlica Gazoz”. 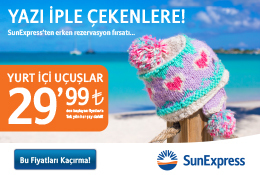 The event is made possible with the support and supervision of Kemer local authorities. The battle starts on top of Mt.Tahtalı (Olympos) Mountain at an altitude of 2.365mt followed by 32 kilometers long downhill track surrounded by mesmerizing views of the Bey-Mountains. Competitors from Turkey, Germany and Greece along with other European countries are expected to participate the event this year. “ÇAMLICA Let’s Ramble for a Soda Down Olympos 4” is targeting to develop further with higher participation and support both from media and local authorities. In parallel, “Cycle Olympos 2017 “ a welcoming summer bicycle festival will also take place on same dates. Bicycle enthusiasts from different branches of the bicycle disciplines are going to enjoy the festival in Kemer/ Antalya. Guided bicycle tours for four different branches – city bike, road-bike, MTB and Enduro – on breathtaking tracks every day and a selection of summer outdoor activities and entertainments will be held during the festival. Further information and details of both “ÇAMLICA Let’s Ramble For a Soda Down Olympos” and “Cycle Olympos 2017” Welcoming Summer Bicycle Festival are found on Down Olympos Facebook page.